A lot of movie casting decisions have compelling stories attached to them. Sometimes actors get a job at someone else’s expense. I’ve discovered 10 examples of actors who owe a lot of their professional success to someone else’s misfortune. Some of these stories are tragic and others are kind of funny. Let’s take a look at who rose as a result of someone else’s (sometimes literal) fall. Robert Zemeckis wanted to cast Michael J. Fox as Marty McFly in Back to the Future, but the actor was working full-time on the TV series Family Ties. In desperation, he went with his second choice, Eric Stoltz, but his performance wasn’t what Zemeckis was looking for. So after a few weeks of shooting, he made the painful decision to fire Stoltz and replace him with Fox. Fox had to work 16-hour days and also come into work on the weekends for a few months, but that grueling schedule was worth it because Back to the Future turned him into a superstar overnight. Stoltz starred in the 1985 drama Mask on his way to having a perfectly decent acting career of his own. But he never reached Fox’s heights. Kim Basinger was not originally cast as Vicki Vale in Tim Burton’s original Batman film. Sean Young won that honor, but she got thrown from a horse during a rehearsal and suffered a serious injury that would have delayed the shooting schedule. So they cut that horseback scene from the script and recast the part with Basinger. Basinger had made an impression with her roles in Never Say Never Again, The Natural, and 9 ½ Weeks. But she really became well-known after playing Vicki Vale. She later won an Oscar for her work in 1997’s L.A. Confidential. Young tried to salvage her career by dressing up as Catwoman and walking into Burton’s office while he was in pre-production on Batman Returns. But she didn’t get that role, either. Batman and Robin killed the franchise that Tim Burton began. George Clooney was just starting out as a film actor, and his lame portrayal of the Dark Knight, along with his failed attempt at becoming an action star in The Peacekeeper, could have easily ended his career before it started. Thankfully, he later recovered, but not without a lot of effort. 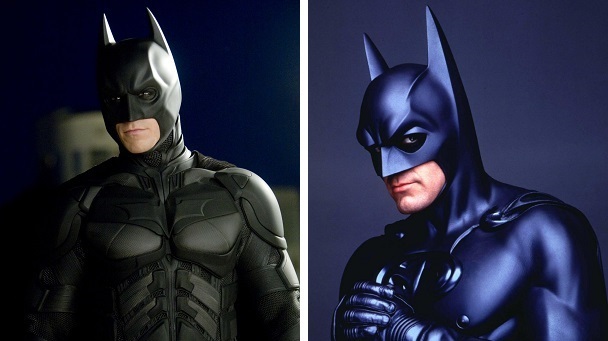 Eight years later, Christian Bale replaced Clooney in the first film of the Dark Knight Trilogy, Batman Begins. Bale had been acting since he was a child. He had been in many films, including Newsies, Little Women, Equilibrium, and American Pyscho. But his take on Bruce Wayne/Batman is what he will always be known for. In 2001, Tom Hardy made a small splash with minor roles in Band of Brothers and Black Hawk Down. Just one year later he co-starred in Star Trek: Nemesis as Captain Jean-Luc Picard’s evil clone, Shinzon. The movie was not well-received. It managed to make less money than any other Star Trek film, ending the Next Generation crew’s adventures on a sour note and nearly killing the entire franchise. Director Stuart Baird has never directed another film since then. But even as prospects diminished, Hardy’s increased because his complex characterization of Shinzon was seen as one of the film’s few highlights. Even though it was a bad Star Trek film, it was nonetheless part of the popular sci-fi series, and it got him the exposure he needed to really shine. A few years later he started working with the great Christopher Nolan. He played Bane in The Dark Knight Rises, and he continues to be a very in-demand actor. Speaking of Star Trek, let’s go back to the two 1965 TV pilots that started it all: The Cage and Where No Man Has Gone Before. Jeffrey Hunter was originally cast as the captain of the Enterprise, Christopher Pike, in The Cage. TV studio executives weren’t pleased with the results. The episode failed to capture what the show would end up being about. But the executives were intrigued enough to order a second pilot. When it came time to start filming, Hunter didn’t return and thus William Shatner was called up to take his place in history as Captain James T. Kirk. Where No Man Has Gone Before was good enough to get the Star Trek TV series off the ground for three seasons. Hunter passed away in 1969 after suffering a concussion while filming a movie in Spain. In 1969, George Lazenby had no acting experience, but he managed to bluff his way into the coveted role of James Bond as the first replacement for Sean Connery. That was an incredible feat. He was just a model, but he was a good enough actor to fool the producers and casting director into thinking he had a lot of acting experience. Unfortunately, he made some poor life decisions and wound up leaving (or getting fired, depending on whose story you hear) after just one film, the excellent On Her Majesty’s Secret Service. 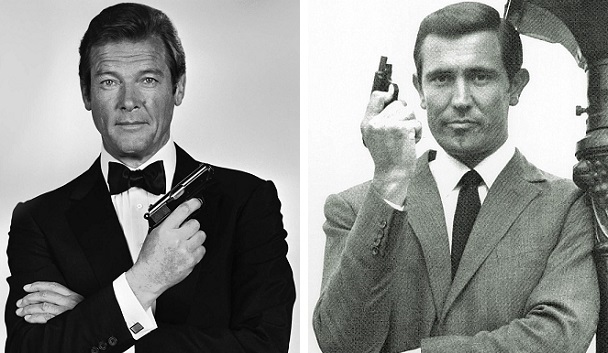 The producers managed to get Connery back for one more film, but then they started fresh with a new actor who would play James Bond in a total of seven films: Roger Moore. Marlon Brando had starred in numerous films in the 1950s that cemented him as a Hollywood icon. But in the ‘60s he starred in several bombs and he fell into disfavor for his on-set antics and other frustrating tendencies. But when it came time to cast the lead role in The Godfather, director Francis Ford Coppola knew Brando was the only man for the job. When the president of Paramount Pictures told Coppola during a meeting that Brando would never play Vito Corleone in The Godfather, Coppola literally dropped to the floor. He sacrificed his body to show how serious he was about getting the has-been actor to be in his movie. The executive relented and allowed Coppola to screen test Brando. And the rest is history. In 1986, executives at Golan and Globus made Christopher Reeve an offer he couldn’t refuse. They said they would pay for any film project he wanted as long as he starred in a fourth Superman film. He weighed the costs and signed on, sealing not only his fate but the fate of a then-unknown actor named Morgan Freeman. Superman IV: The Quest for Peace proved to be a disaster and Street Smart didn’t fare much better. But the one positive result of Reeve’s terrible deal was that Freeman got an Academy Award nomination for his role in Street Smart. He soon parlayed that positive attention into an extremely successful acting career with roles in Driving Miss Daisy, Glory, and many other excellent films. 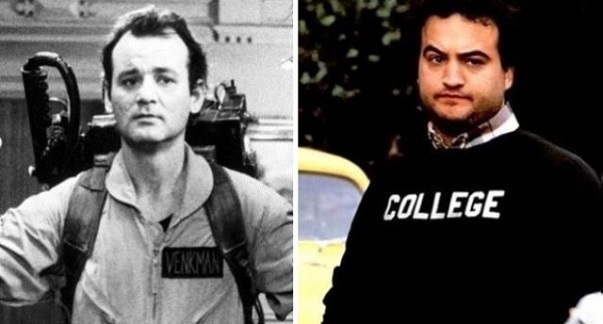 The part of Dr. Peter Venkman in Ghostbusters was originally written for John Belushi. Up until his death in 1982, Belushi had been attached to the project, which was being written by his fellow Blues Brother Dan Aykroyd. The role ultimately fell to Bill Murray, and he turned it into one of the most definitive comedic performances of all time. Murray had already starred in Meatballs and Stripes, but Ghostbusters proved to be one of the most defining films of his career, propelling him to superstar status. James Remar had small parts in hits like The Warriors and 48 Hrs. before he was offered the role of Cpl. Dwayne Hicks in the ultimate action film, Aliens. He went through boot camp with his fellow actors before making it to the set. But writer/director James Cameron proved to be tougher than a drill sergeant, and Remar just couldn’t work with him. So at the last minute, Michael Biehn got a call to fly out to England, and he got the job almost immediately. He, of course, had done fine work as Kyle Reese in Cameron’s previous film, The Terminator, so he knew how to meet the director’s high expectations. He would go on to play the antagonist in Cameron’s next film, The Abyss. Remar hasn’t suffered too much because he gave up the chance to be in Aliens. He’s played side characters in numerous films and TV shows over the years. Meanwhile, Biehn never really hit leading-man status, despite his superb work early in his career, though. He, too, has gotten plenty of work in the past few decades. And he might just be on the verge of reprising his role as Hicks in the next Alien sequel. The fact that he stuck with it and took on that role means that he now may have a chance to do something really special with this new film. Not all of these actors were competing for the same role, and some of the examples weren’t even a competition between two actors at all. It’s nice to see that there’s often a silver lining to failures like Batman and Robin and Star Trek: Nemesis because they led to better things later on. And even though some of the “losers” on this list suffered a temporary loss, many of them went on to have perfectly fine careers. So I suppose movie casting isn’t exactly a zero-sum game. This entry was posted in Random Stuff and tagged action movies, actors, aliens, back to the future, batman, batman and robin, christopher nolan, comic books, dark knight rises, films, funny, ghostbusters, james bond, james t kirk, movie review, movies, science fiction, sequels, star trek, superman, the godfather, tim burton. Bookmark the permalink. I completely agree. The role of James Bond requires some serious acting experience. It’s not for novices. Sean Connery would have done an amazing job, but some of the scenes might have been awkward since he and Blofeld had met in the previous film, so it seems like Blofeld would instantly recognize him. Awesome post. I learned a lot — thanks! You’re very welcome. There are a lot of really cool stories behind the scenes of movies, and I’m glad I could share some intriguing ones with you. Good article! I’d like to add to the list Joaquin Phoenix, who had his biggest box office hit ever with “Signs”, where he replaced Mark Ruffalo, who had to drop out due to a brain tumor (fortunately benign). Ironically the two ended up costarring in “Reservation Road” and Phoenix was widely rumored to take over for Edward Norton as The Incredible Hulk in “The Avengers” before Ruffalo snagged the role. Btw, Phoenix’s “The Village” costar Bryce Dallas Howard is probably the queen of taking over roles from other actors, having replaced “Terminator 3″‘s Claire Danes in “Terminator:Salvation” (Danes turned it down), “Dogville”‘s Nicole Kidman in “Manderlay” (scheduling conflicts) and “Twilight”‘s Rachelle Lefevre in “Twilight: Eclipse” (possibly fired/scheduling conflicts). Funnily enough her “Spider-Man 3” character Gwen Stacey ended up being taken over by her “The Help” costar Emma Stone when the series rebooted!